Regina Rising by Wendy Toliver released on April 25, 2017, and it’s been on my to read list since. The book is set in the Once Upon a Time universe, and now that I’m writing my undergraduate thesis on the show, I felt it was the perfect time to finally read it. Toliver does an excellent job of maintaining the show’s continuity. The backstory given in this book filled questions I had been wondering for a while, while also surprising me with appearances from a myriad of characters. 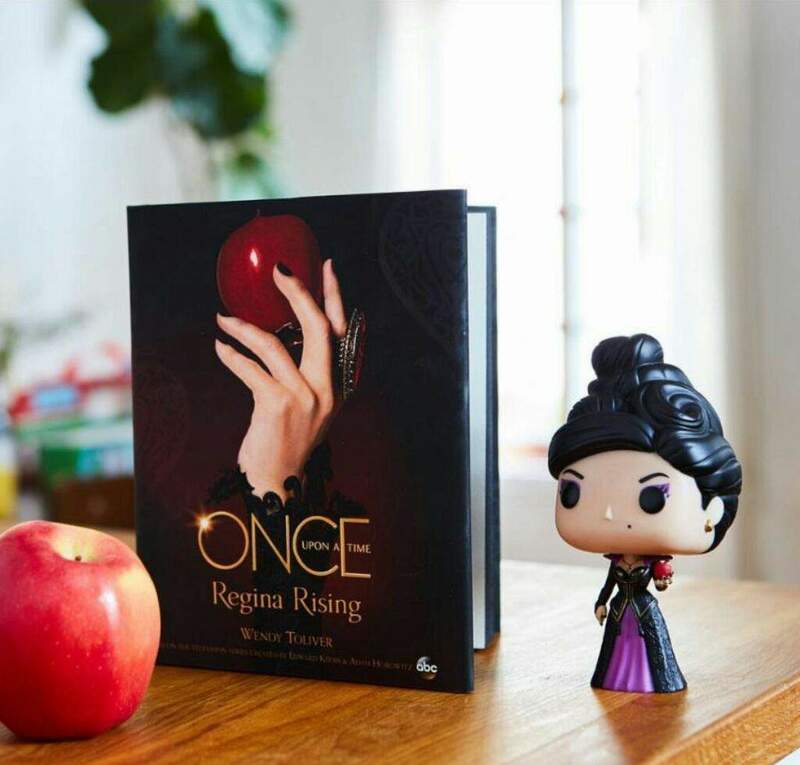 For example, the iconic poison apple wasn’t given much of a history on the show, but the book explains both that Cora, Regina’s mother, is the individual who poisoned the apple, and how the apple found itself in the hands of the Blind Witch. One appearance, though minor, that surprised me in the best of ways was that of Johanna. She only appeared in one episode of the show, so it would have been extremely easy to look over her, but Toliver worked her in perfectly. Similarly, the inclusion of Firefly Hill, which also only appeared in one episode, was very interesting to see – especially since it led to Regina meeting the Blue Fairy for the first time. Despite adoring the show elements in the book, my main qualm lies in the book’s pacing. The beginning began to drag, lasting into the middle of the book. It felt like a lot of separate events were transpiring, but there was nothing tying everything together. This is remedied at the end, when everything is explained to Regina by Cora and Claire Fairchild, but some cohesion earlier would have been benefited the overall arc a lot. While extremely trivial, one thing I would have loved to have seen in this book was Daniel, Regina’s first love from the show. His death sparked the darkness that transformed Regina into the Evil Queen, so it would have been fun to see more of their relationship. Daniel not being in the book does not hinder my view on the book, however, as I enjoyed the introduction of Jesse the stable boy. Overall, I commend Toliver for her dedication to the show’s canon. I really enjoyed not only this book, but also her first novel for the show: Red’s Untold Tale, which explored more of Red Riding Hood’s backstory. I think the pacing would be more of an issue for normal readers who maybe haven’t seen the show, but because I know the context, I’m able to forgive this and just enjoy the backstory to a character I already adore. Wendy Toliver’s website can be found here, and her Twitter account can be found here. She can also be found on Instagram here. As always, comment below and tweet us @Fuzzable with your love not only for Wendy Toliver and Regina Rising, but also for all of the wonderful books and authors you’re loving right now!